For booking or questions, simply call us! Call us. Send a message with whatsapp. 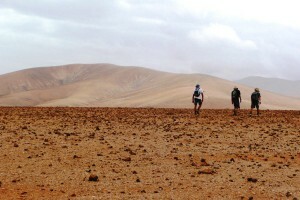 Fuerteventura provides perfect conditions for your sport holidays the whole year around. The destination spoils with warm temperatures, perfect waves and a beautiful landscape. All together will make your holiday an unforgettable experience. 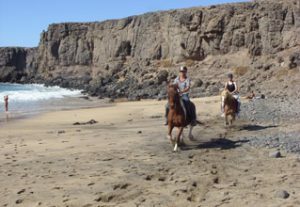 No matter if you’d like to learn how to surf, explore the volcanic Island by bike or just want to relax doing yoga – we provide you with a numerous of different sport activities. Experience the flow of surfing – we offer individual coaching far away from the crowds. Our Courses stand out for their small groups and it’s personal coaching. Depending on your Surf-Level we choose different Surfspots for schooling. 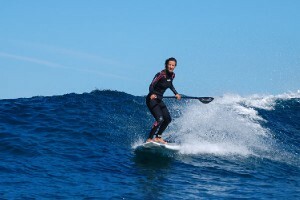 For a maximum learning success and fun–factor, our Surfinstructors always drive to the spots with the best conditions. The beach- and reefbreaks nearby offer perfect settings for each Surflevel. Here you’ll find everything to make your surf holiday just perfect! The beautiful Landscape of Fuerteventura and its mild climate are perfect for a ride on the bike around the north of the island. You can even book a Bike tour with a professional guide and insurance or you just rent a bike and go on your own to explore the Volcanoes or the North coast of the Island. In our Riders Surf 'n Bike shop in the centre of El Cotillo you can just rent a bike . We offer you the newest bikes from Beach cruisers to Mountain bikes. Mountain bikes, City bikes, Road bikes, Children bikes etc. free repair kit, helmet , lock and extra tube. If you are looking for another sport activity, just give us a shout out. We will do our best to support you in all your ideas.